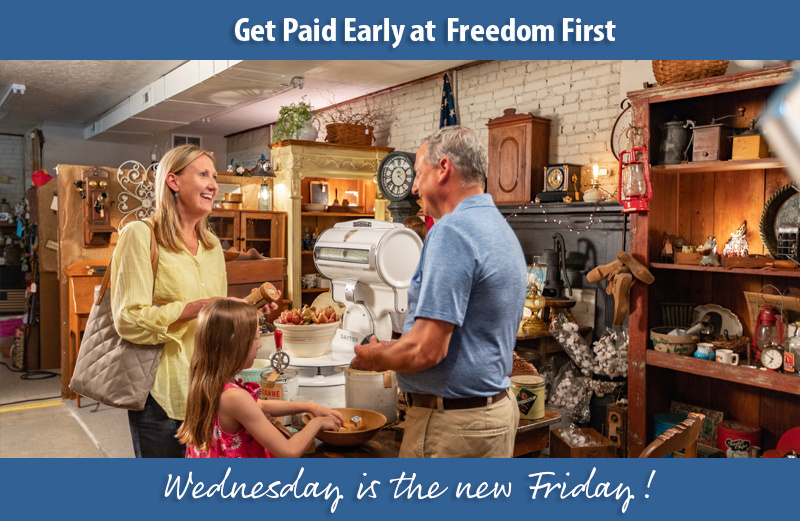 Get ready to enjoy one of the great benefits of membership with Freedom First. Open an account and sign up for direct deposit. Your direct deposit payroll may be available to you up to 2 days early*. You must enroll in direct deposit through your employer. Login to online banking and look for your direct deposit to arrive early. Our Checking and Savings accounts pay interest at competitive local rates. Not Yet a Member? Join Freedom First. Already a member? Open a Checking Account.